As has been pointed out by economists everywhere since the speech, Obama is fighting against the very roots of wealth creation and growth and our economy. Productivity improvement has always been the main engine of a better life for Americans, but here Obama is decrying it. This is exactly what Obama is criticizing. Without productivity improvements of the type Obama seems to hate, nine out of ten of you would be laboring in a field rather than reading this on the Internet. Are you poorer because you don't have to grow your own food? Of course not. 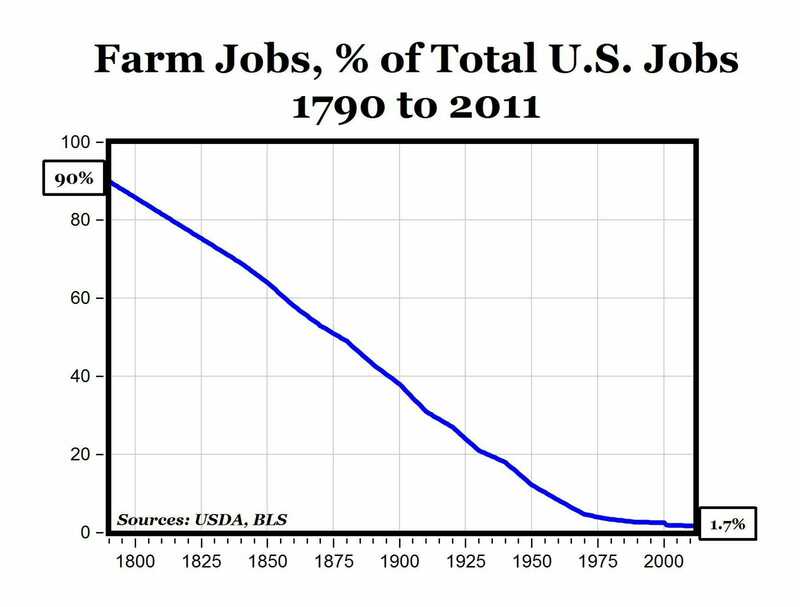 Every time we increase productivity in a major industry, we fee up labor for the next big thing. 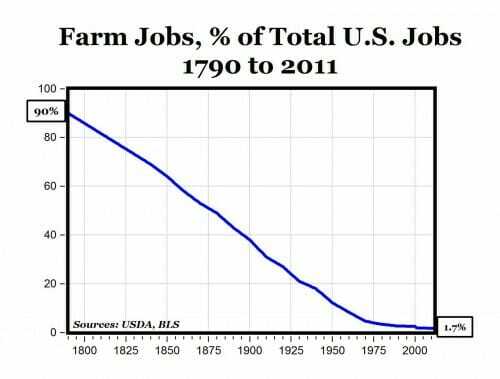 We couldn't have had the steel or auto or oil industries if agricultural productivity improvements had not feed up labor for them. The computer revolution would be impossible if we all were working in steel mills. PS- of course this does not work if the next big thing, say domestic gas productions through fracking, is blocked by the government and private investment capital is diverted by the government to cronies with a solar panel factory. The steel industry, a bellwether for the state of the nation's economy, is looking to the government for a huge investment program: up to $1 trillion over two years. They say the government does things that private parties can't or won't, and that is certainly true here since I cannot imagine any private investor allocating capital on these criteria.